Reggae Gold is the ultimate collection of reggae hits for summer! Filled with 17 of the hottest sounds from Jamaica, Reggae Gold is the most recognized and best selling compilation series in the genre. Reggae Gold 2011 features new & current hits from Stephen Marley, Shaggy, Queen Ifrica, Alborosie, I-Octane and more! Plus the latest hits from reggae legends Beres Hammond and Shabba Ranks! Reggae Gold 2011 includes a bonus disc with an exclusive DJ mix performed by DJ Norie of WWPR-FM New York’s Power 105 radio – it’s 40 minutes of non-stop dancehall vibes. Reggae Gold 2011 is solid back to back hits! Also Features HITS from: Gyptian, Richie Spice, Tarrus Riley, Mavado, Vybz Kartel and many more! Damian Marley is known for his unique collaborations with different artists. His latest project involves Mick Jagger for a super group called Super Heavy. Also involved is singer Joss Stone, Eurthymics member Dave Stewart and producer A.R. Rahman. According to Rolling Stone, the group has been recording for at least 18 months and plan to debut the album in September. They are actually further along than expected. Super Heavy completed their first single and filmed the accompanying visuals and is looking around for a major label deal. 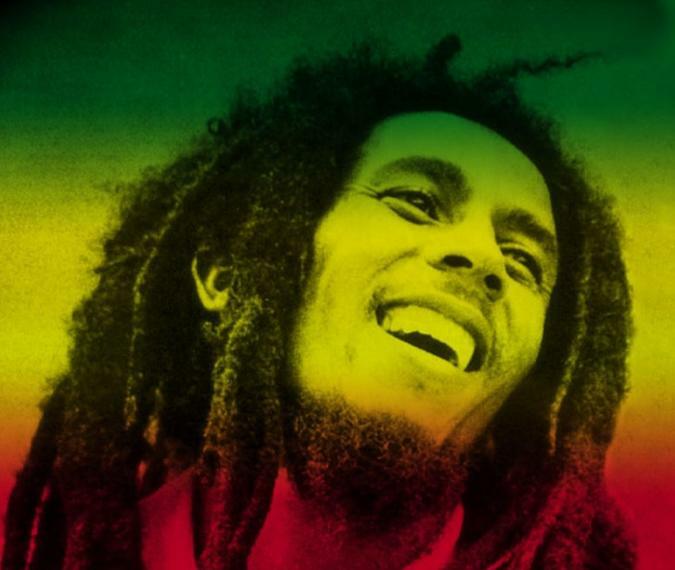 This Wednesday, May 11, will mark the 30th year since the death of reggae icon Bob Marley. The Bob Marley Foundation and the Bob Marley Museum are making preparations to mark this occasion. Manager of the Foundation and Museum, Jacqueline Lynch-Stewart, remarks that the Marley family promotes the celebration of Bob Marley’s life and as such emphasis is usually placed on the commemoration of his birth. However, due to the significance of the 30th anniversary special arrangements will be made for the commemoration of the date at the museum located on Hope Road. Flowers will be available for visitors to the museum on Wednesday, May 11, to place at the feet of the Marley statue on the grounds. Interested persons can donate additional flowers for this activity or simply lay their own at the statue. In an intriguing twist, a mento band will provide live renditions of Marley’s music throughout the day. Additionally, donations of non-perishable items in aid of the Eira Schader (Trench Town) and Abuna Yeshaq (Ethiopian Orthodox Church) Golden Age homes will be accepted. Marley succumbed to cancer in 1981, four years after he was initially diagnosed. He was in Miami on his way back to Jamaica from Germany. His musical influence has received great attention since his passing. By the end of the last century he was declared one of the most influential musicians of all time. In 1999 Time magazine dubbed Bob Marley and the Wailers’ Exodus the greatest album of the 20th Century, while the BBC named One Love the song of the millennium. Marley’s contribution to the world, however, far exceeds the brilliance of his musicianship. His music is laced with his revolutionary spirit fusing his insights with proverbial wisdom and the influences of Pan African leaders such as Marcus Garvey and Haile Selassie. His music remains inspiring, finding new audiences among the peoples of the world with whom his embodiment of a natural mystic continues to resonate. Marley’s children also continue to keep the Marley name current with their various endeavours and the manifestation of their own talent. Ziggy, Stephen, Damian, Ky-Mani and Julian have successfully embarked on musical careers, while Cedella has explored the world of fashion through the Catch a Fire line. Marley’s face can also be seen on earrings, candles, clothing and numerous items. While some have seen this as a watering down of Marley’s image as a soul rebel, his continued influence on the struggling peoples of the world belies this. Marley’s philosophies continue to resonate around the world in places like Tunisia, India, Nairobi, and among indigenous people of Australia and North America to whom Marley remains the soundtrack for redemption and revolution. Stephen Marley has a simple message to all Marley fans to keep his father’s memory burning. “Spread his message of peace, love and equality,” he said. Seven-time Grammy award-winning singer and songwriter, Stephen Marley, is set to release his third solo project, Revelation Pt 1: The Root of Life from Ghetto Youths/Tuff Gong/Universal Republic on May 24. According to the artist the album was conceived as a celebration and preservation for roots rock reggae and ensures that the music’s regal template is maintained throughout the 21st century. Anchored in reggae’s drum and bass backbeat, The Root of Life is described as an organic and richly textured sound through its 14 tracks, which Marley says makes it a true body of work that delivers powerful messages and encouragement for the struggling masses. In describing the some of the tracks, the producers note that Old Slaves depicts the harrowing residual effect of slavery; She Knows Now evokes the sorrow of rejection; False Friends conveys the disappointment of knowing these people; a lovers-rock tradition there is the duet No Cigarette Smoking with Melanie Fiona; to the final track Now I Know, a contemplative song about moving on. The first single Jah Army, features Damian ‘Jr Gong’ Marley and Buju Banton over a one-drop rhythm with lyrics to rally the troops. “Whether it’s in the music or our life, get it together man, the Gideon is on,” declares Marley. Conceived as a two part project, The Root of Life will be followed by the release of Revelation Pt 2: The Fruit of Life, due in fall of 2011, which will feature an array of styles that have emanated from reggae’s core. Having recently completed a cross-country tour to launch this album, Marley will also see exclusive distribution for the vinyl version of The Root of Life from VP Records.